For several years, cardiologists have known that coronary artery disease (CAD) in women can be quite different than it is in men. 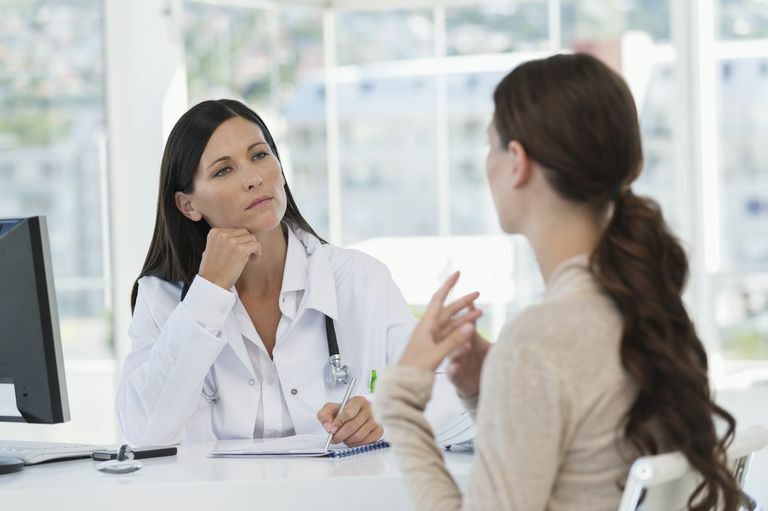 Women's symptoms may be different, the diagnostic tests that are used for CAD can give the "wrong" answer in women, and the underlying disease itself can be quite different. it has become apparent that there is another difference in how CAD “behaves” in some women. In younger women who have a myocardial infarction (heart attack), the coronary thrombosis (blood clot in a coronary artery) that produces the cardiac damage may be caused by a erosion of an atherosclerotic plaque, rather than by the more typical rupture of a plaque. When a heart attack is caused by an erosion, symptoms may be more subtle and less typical than with a “usual” heart attack. and may be missed (or brushed off) by a doctor. As a result, treatment may be delayed and outcomes may be substantially worse. Typically, acute coronary syndrome (ACS) is caused by the rupture of a plaque. Plaque rupture generally is an acute and fairly distinct event that causes immediate consequences. The rupture exposes the "gunk" inside the plaque (cholesterol, calcium, inflammatory cells, and other material) to the bloodstream — and this usually triggers the rapid formation of a clot. Often, the clot causes complete (or nearly complete) obstruction of the coronary artery, and blood flow to the portion of heart muscle supplied by that artery is shut off. This obstruction often leads to the sudden and remarkable symptoms associated with ACS — the symptoms of a heart attack or of unstable angina, or even to sudden cardiac death. What Makes Coronary Artery Erosion Different? It appears that, especially in women who have heart attacks before age 50 (in particular, in pre-menopausal women), plaque rupture is often not the cause of the blood clot. Instead, the clot may be triggered by erosion of the blood vessel wall. What's the difference between a rupture and an erosion? Well, a rupture of a plaque is like a pimple that pops open. (In fact, the stuff inside a typical zit is not entirely unlike the stuff inside an atherosclerotic plaque.) But an erosion is more like a shallow ulcer. The plaque associated with an erosion may be quite small, or there may not be a plaque beneath the erosion at all. It has been known for many years that, while heart attacks in young women are uncommon, when they do occur these women tend to have worse outcomes than men of similar age. These worse outcomes, in now appears, may be at least in part due to the fact that many of these heart attacks are caused by coronary artery erosion. Not only are the symptoms with coronary artery erosion more likely to be dismissed as heartburn, anxiety or some other non-cardiac cause, but also the clots themselves may end up being more dangerous than clots that form due to rupture. As noted, the clots that form with erosion tend to develop less suddenly. For this reason (and because the symptoms they cause are usually not very alarming) these clots have time to mature. So, by the time the diagnosis of a heart attack becomes apparent, the clots are more mature, more solid, and much more difficult to reverse. Unfortunately, coronary artery erosions are very difficult to diagnose before they cause thrombosis. They are usually impossible to detect, for instance, during cardiac catheterization or stress/thallium testing. So coronary artery erosion is yet another kind of coronary artery disease associated with "normal" coronary arteries. Who Gets Coronary Artery Erosions? While anyone can develop coronary artery erosions, this appears to be a condition much more likely to be seen in premenopausal women, often in premenopausal smokers. So, while smoking is a risk factor for anyone, it is an especially strong risk factor for coronary artery erosions. It is a very good reason why young women who are smokers should quit. There is also some evidence that coronary after erosions may be seen more frequently in women who have had repeated spasms of the coronary arteries, such as in Prinzmetal's angina. CAD in younger women is very often a different disease than the "classic CAD" that is seen in men and in older women. The recognition of this fact is leading to efforts to gain a full understanding of those differences and to develop more effective strategies for treatment. Kramer MCA, Rittersma SZH, de Winter RJ, et al. Relationship of Thrombus Healing to Underlying Plaque Morphology in Sudden Coronary Death. J Am Coll Cardiol 2009; DOI:10.1016/j.jacc.2009.09.007.